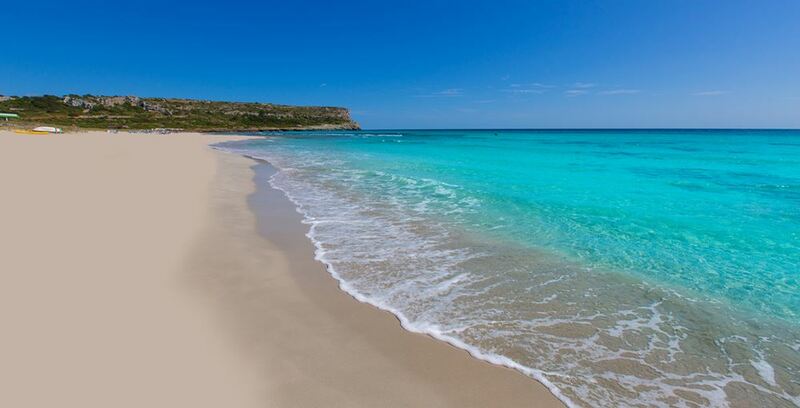 Son Bou is the largest beach in Menorca with a length of 2.5 kilometres. It is also the most visited beach on the island due to its wide range of tourist facilities. The central western part is surrounded by dunes and a large swamp area. Deeper to the west, the beach is frequented by nudists.